Where Are All the South Bay Eichlers? Just a few months ago, we saw Bay Area real estate shift to a seller’s market, and already that term seems quaint. For Eichlers and single-family homes in general we’re not just seeing a seller’s market, we’ve got a downright inventory shortage on our hands. To find out why, The Eichler Network called some local realtors and asked what was causing the crunch. The first in our three-part series focuses on the South Bay. In Santa Clara County, there were 816 homes listed for sale in January, down from 1137 in 2012 and 1265 in 2013, explained Kevin Swartz, a sales associate with Coldwell Banker’s Erdal Team in Saratoga. And almost none of those are Eichlers. "Right now, in San Mateo and Santa Clara counties, we have two [Eichlers] available. One in Saratoga and one in Willow Glen," Intero Real Estate’s Eric Boyenga said. "Everything else is pending. Fifteen are pending and two are available." Normally, he said, about as many homes would be pending as available. Young engineers going to work at Facebook, Apple, and the like love Eichlers because of the trendy design and the family-friendly layout. “There are little kids around the house, mom and dad can keep an eye on them, the atrium gives a sense of safety for the little kids running out of the house,” Swartz said. “And definitely the type of buyer here is interested in the type of architecture Eichlers have.” People moving to the area for tech jobs have heard about Eichlers, and they want to live in one. Meanwhile, the credit market hasn’t kept up with the housing market, so those who would like to sell are having a hard time getting bridge loans, which take the presumed sale of their current home into account. “So buyers aren’t able to buy and then sell,” Swartz said. “A lot of sellers we’re meeting with are deciding to hold off because they don’t want to do that. They’re not comfortable putting all their stuff in storage and then renting. They want to get into a new place quicker.” It’s a chicken-and-egg problem. If people don’t feel comfortable selling, they can’t create inventory for those who want to buy. 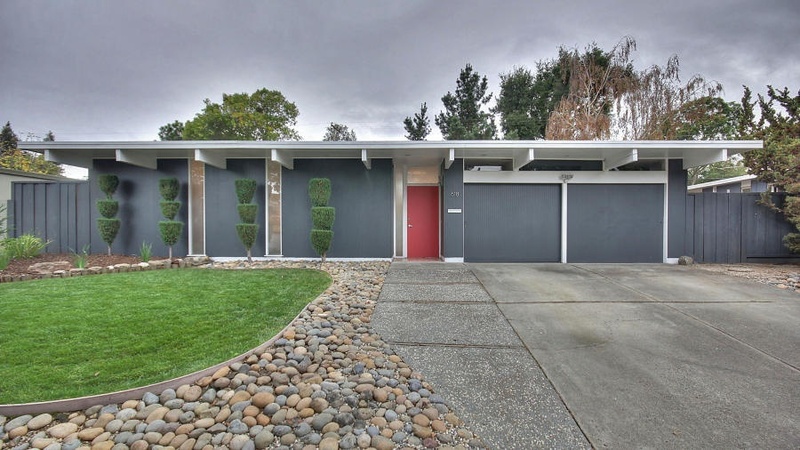 Check back later this week for insight into the Eichler shortage in the Peninsula, Marin, and the East Bay.